Every other rig I have is a Kenwood with a couple of ICOMs sprinkled in with the vast majority of them from the late 70’s/early 80’s. I like old Kenwoods and while they are nice and largely functional for their age there’s nothing quite like a new radio. I wanted to get an HF mobile with at least the capability of 2m all-mode. The choices for such a rig will largely result in you shopping at the Yaesu store especially since ICOM ceased production of the IC-703 and IC-706 radios a few years ago. I realize that ICOM has the IC-7100 but it is quite a bit more than I wanted to spend and the interface is rather odd for a mobile. That boiled the choice down to the FT-817ND or the FT-857D and since I wanted more than QRP capability the FT-857D was the choice. This radio is amazing! I’ve been operating SSB on 10m, 20m, 40m, and 80m as well as some 2m FM. It’s cool to have a “shack in a box” rig. Yaesu has packed an immense amount of functionality into this small box. I’ve read mixed reviews on the menu system but I’ve had no problems with it. It’s actually rather intuitive with the three soft keys once you spend a bit of time with it. Thus far it’s been a pleasure to operate with good signal reports all around. 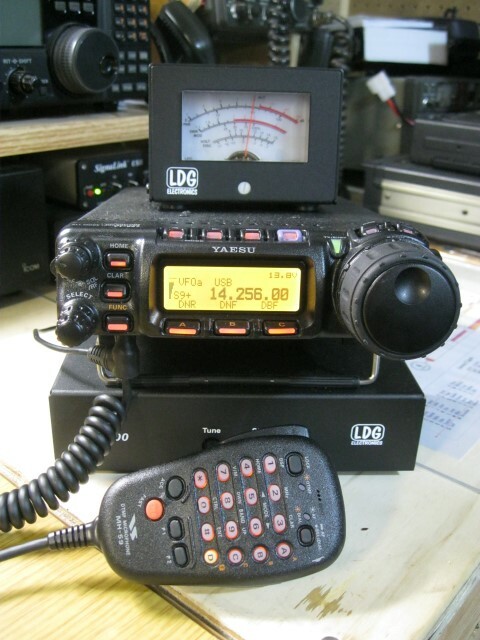 I also purchased the LDG YT-100 antenna tuner as well as the Yaesu MH-59 mic and found an LDG FT-Meter on eBay. The next addition are filters (CW and possibly SSB) but I’m still doing some research and frankly enjoying the rig in its current state. The next band to operate on is 6m. Having no 6m capability to date I need to build an antenna. After a bit of research I’ve decide to build a Squalo.